It is no longer a question of whether or not conflicts will arise. It is rather an issue of whether you as a leader are adequately equipped to tackle conflicts with the tact and finesse of a professional mediator. 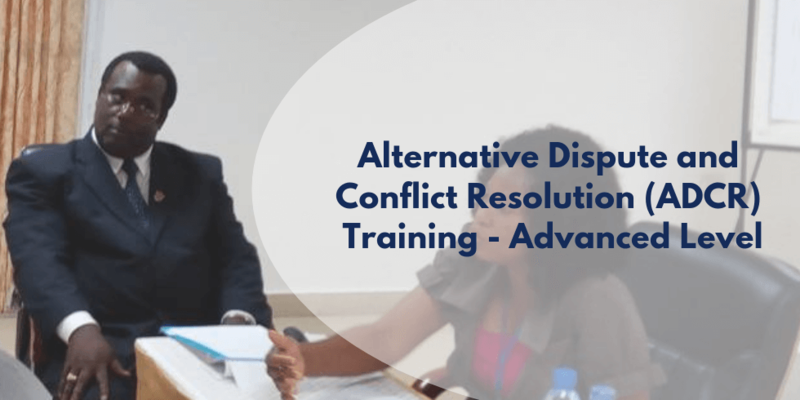 This course The Style and Tactics in the Practice of Mediation introduces participants to the practical and hands-on tools required for resolving complex, extensive, protracted and seemingly irresolvable conflicts. It builds on the foundation to train each participant on the professional specifics of mediating all sorts of self, organisational or other conflicts. It gives each participant the tools required for resolving complex, extensive, protracted and seemingly irresolvable conflicts. The Advanced Course also introduces other professional dynamics: the usage of the distinct CounsMed® instruments and tools, the functions of the theory and practice of nudging, managing impasse as well as listening and persuasion skills, which are all crucial to mediation, alternative dispute resolution. This course is designed with an international standard whilst it considers our local context so as to create a blend that is both locally relevant and internationally viable. It is expected that people come to this course with skills acquired in any previous training as well as experiential knowledge based on how to apply those skills. Collectively, these will create a good background to enable participants to engage this advanced level of study effectively. Who should attend: Organisational Heads, HR Executives, the Clergy, Traditional Rulers, Politicians, Managers, Counsellors, persons who have acquired certificates in ADCR Foundation or related fields of study etc.